Mahesh Babu arrived in Chennai earlier today noon to attend the audio launch of his upcoming film "Spyder". The movie is directed by A.R.Murugadoss, and Harris Jayaraj composes music. The speech of Mahesh Babu was something everyone were waiting for. He started to speak fluently in Tamil, "After 18 years of acting, it just feels like a very new and a fresh day for me. Thanks for all the love you showered on me. I'm proud to work with AR Murugadoss sir. It needs guts to produce a film worth 120 crores. NV Prasad and Tagore have made it happen. SJ Suryah Sir, I already knew him as a director, but, now we are costars. It feels great. I know about your dreams, and I'm damn sure you will achieve it. I felt I could've done Thuppakki and I have told it to ARM Sir too. But fortunately, there is Spyder now. "I'm waiting" is my favorite punch dialogue of Vijay. Spyder's role is my most favorite character in my career." The event concluded with Mahesh Babu's speech, and the audio was launched by the better halves of A.R.Murugadoss, Peter Hein and Harris Jayaraj. 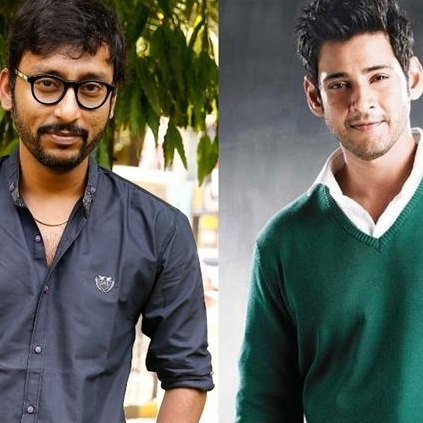 RJ Balaji has acted in Mahesh Babu's Spyder directed by AR Murugadoss. In today's audio launch function he shared his shoot experiences and most importantly put a request to director AR Murugadoss. He said: "Hello to all Mahesh Babu fans. This is the first time I'm acting with a Superstar. I haven't worked with Vijay, Ajith, Rajini or Kamal Sir. Mahesh Babu is the first one. Though Rakul Preet Singh was there, I was always watching Mahesh Babu. He was so attractive. Mahesh Babu speaks Tamil so fluently. He understands all the Tamil jokes. I'm not a comedian and I travel along with Mahesh Babu in the film. One personal request to Murugadoss Sir. Tamil cinema needs you. We need more social content films. A girl died due to the educational corruption recently. Tamil Cinema needs you, Sir. Don't go to Bollywood now. I heard Murugadoss Sir is doing a film with Vijay next. I hope it will be a strong content oriented film." People looking for online information on Mahesh Babu, Spyder will find this news story useful.